“I make it a rule never to smoke while I’m sleeping”. This was a quote from the great Mark Twain, and it may never be truer than it is today. As World No Tobacco Day (WNTD) approaches on May 31, 2018, we are continually reminded of the tobacco epidemic and its impact of public health, particularly in causing the death and suffering of millions of people around the world. In the U.S. alone, tobacco use is the largest preventable cause of death and disease today, causing various types of cancer, as well as heart disease, stroke, lung disease, and other health-related problems. The commonly-known health risks associated with tobacco are not the only ones we should be concerned with however; we should also be aware of the deep and profound effects that smoking can have on another part of your life: your sleep. Sleep is not just another part of your life; it’s a vital ingredient making up one third of human life. It’s as vital as water, air and food are. Sleep is not expendable! The goal of World No Tobacco Day is to encourage a 24-hour period of abstinence from all forms of tobacco consumption around the globe. The day draws much needed attention to the widespread prevalence of tobacco use and its negative health effects…not the least of which is its effect on sleep. 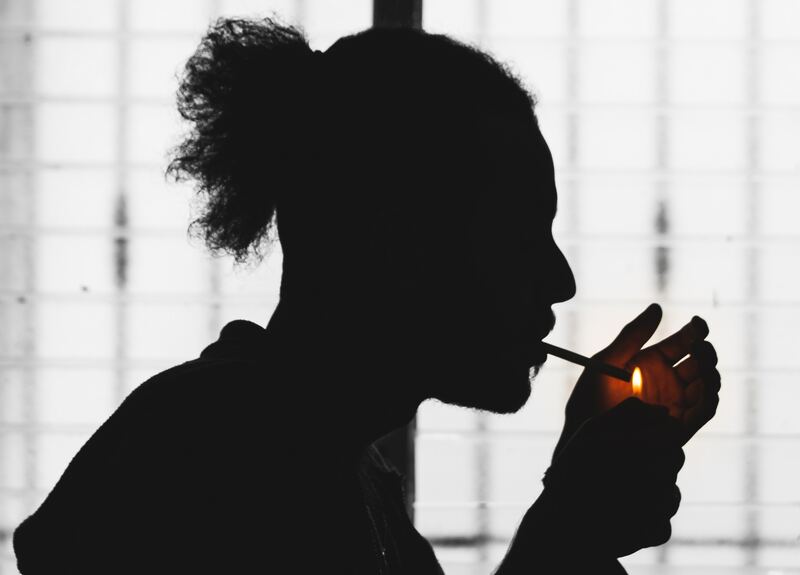 While many smokers like to ‘wind down’ with a smoke and calm their nerves before sleep, they likely don’t realize that the nicotine in cigarette smoke actually has the opposite effect: nicotine rushes through the body quickly, disrupting sleep and leading to nighttime problems such as insomnia and sleep-disordered breathing – among other sleep-related problems. While most people feel more relaxed after smoking, the nicotine in cigarettes and tobacco actually raises both your heart rate and alertness…two things you definitely don’t want before trying to get the restful night of sleep you deserve. Smoking before bedtime is an unhealthy habit that can’t be ignored. The most noticeable effect of smoking on sleep is the reduction of time that people spend in deep sleep, leading to a reduced feeling of waking up well-rested in the morning. In 2008, the journal “Chest” reported that chronic smokers spend more time in light sleep, especially during the early parts of the night. Additionally, Dr. Ron Kramer of the American Academy of Sleep Medicine conducted another survey about sleep health, which revealed that smokers often get less than six hours sleep, and that they’re not well-rested in general. Smoking is a risk factor for another serious disorder: sleep apnea. Smoking increases inflammation and fluid retention in your upper airway, which leads to swelling in your nose and throat walls, causing a narrowing of your airways. The narrow passages are more prone to repeated collapse during sleep, causing not only airway obstruction, but also stopped breathing and hypoxia, which is a lowering of the blood oxygen levels. Resuming efficient respiration requires resuming wakefulness for a few seconds, causing disruptions in sleep that have many dangerous effects – including health problems such as strokes, heart disease, cancer, decreased cognitive functioning, and more. As the former English dramatist Thomas Dekker once said, “Sleep is the golden chain that ties health and our bodies together”. Our sleep affects every aspect of our lives – from fitness to productivity to appearance. Sleep not only recharges your body and mind, but also boosts your energy level and enhances your mood. It gives you the ability to think more clearly, resolve problems, and be more productive at work and in any other aspect of your day-to-day life. Lack of sleep – on the other hand – depresses your immune system, and is associated with a greater risk for high blood pressure, diabetes, obesity, depression, anxiety and more. Once you add smoking to that mix, you’ve got a dangerous combination of actually feeling more and more awake when you’re trying to go to sleep. Smoking regularly wreaks havoc on your body’s natural sleep routine, and some of that damage just can’t be undone. Getting adequate, healthy sleep provides you a powerful tool to help reach your goals and lead a more productive and healthier life, making the alerting effects of smoking and nicotine dispensable. For those whose sleep is poor and not satisfying enough, who want to fall asleep faster, or who just generally feel sleepy and tired throughout the day…take heed: if you smoke before bedtime, you will not only struggle to fall asleep because of the nicotine you’ve brought into your system, but your natural sleep-wake cycle will be disrupted, and you may even experience withdrawal symptoms before your morning alarm goes off, leaving you feeling even more restless and agitated when you wake up. What’s needed to help counter these effects is a better sleep evaluation and insights into how smoking is affecting sleep, and a customized plan to improve your rest and get the kind of sleep you need. For smokers who feel like the only way to get to sleep is by having a quick smoke before bedtime, the reality is that once nicotine is out of your system, your sleep will improve dramatically and the restorative benefits of sleep will return. At Sleeprate, we can help you get there. Sleeprate’s mission is to help people around the world improve their lives through better sleep-life balance. We work tirelessly to improve the performance and availability of our world-class technologies and solutions, offering people all around the world the most effective, reliable and user-friendly sleep analysis, monitoring and assessment out there today – all in a single solution. Sleeprate’s core technology utilizes behavioral sleep medicine practices developed and implemented at Stanford University’s Behavioral Sleep Division. Sleeprate’s unique solution for better sleep-life balance was developed and customized as a step-by-step program to improve mental and physical performance, so that people can be more productive and effective throughout the day. To learn more about Sleeprate and how we’ve helped provide the most innovative and sophisticated sleep treatment solution in the market today, visit us at www.sleeprate.com.